Ducted air conditioning with independent temperature control in each room. Today AirClima can provide multi zone, smart air-conditioning systems, completely invisible, modular, with the possibility to set different temperatures in different rooms. 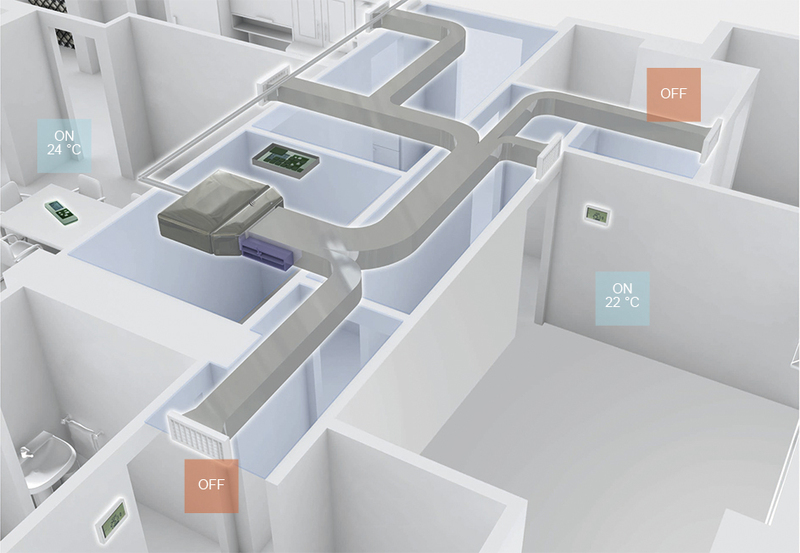 The spaces are thus divided into independent zones equipped with digital thermostats that constantly analyze the temperature, and via an electronic control unit connected to motorized vents systems, the air conditioning system conveys the air only where it’s really necessary. The advantages of a multi zone climate system are many, above all comfort as everyone can get the better climate for his specific needs. 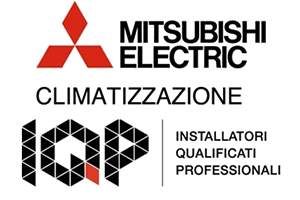 Then thanks to this type of rational management of the system, it is possible to use a total cooling capacity considerably lower, allowing a considerable reduction in consumption, greater savings in management costs and respect for the environment. The aesthetic factor is also very important: compared to the classic split system (single split or multi-split), multi zone air-conditioning systems are less invasive and they harmonize with any decor. The AirClima design office is ready to give advice without any obligation to individuals, architects, interior designers and construction companies.